Are you looking for removalists Homebush residents can trust? A beautiful suburb, just outside of Sydney, Homebush is popular with commuters and young buyers looking to start a family. In recent years the spot has also become a hotbed for new companies looking to buy great offices at low prices. Plenty of people relocate to Homebush every year while others move to new locations across Australia. We aim to help both commercial and private clients complete their removal in Homebush with ease with a stress-free, efficient, friendly solution that covers all your needs. Our Removalist Homebush service could not be more simple. Get in touch with us today and a friendly member of our team will be happy to provide the advice and all the information that you need. This is where you’ll tell us what type of move you need, where you’re moving from, where you’re moving to and the amount of items you have. You can also tell us about any special requests or requirements that you might have too. Do you have sensitive documents or items that need moving? Perhaps there’s a schedule that you need to meet when completing your move or additional jobs you would like completed. We aim to cover all special requests and provide the ultimate removal in Homebush so please do not hesitate to ask about this. Once we know all your requirements, we can arrange a visit to your property. It doesn’t matter where you are or where you are moving to. We’ll have a team there quickly and at a time to match your schedule. So, if you need to arrange it around office hours, this isn’t a problem. Once there, we’ll give you a full quote for our services. Be aware this quote is completely transparent and, assuming you don’t make any adjustments, final. You don’t have to worry about the cost ballooning or changing at all. Instead, we aim to make sure that you know exactly what you’re paying for and how we arrive at the cost provided. If you are happy with the quote, we’ll proceed with the move as planned. We can even arrange more visits to help with the move before the final day of relocation and provide any advice or expertise you need. If you need any more support after the visit you can contact our friendly, convenient customer service line for more solutions. Removals in Homebush can be expensive, particularly if you are moving to a completely different state. You might find that you have already seen a few companies that exceed your budget and this can frustrating. 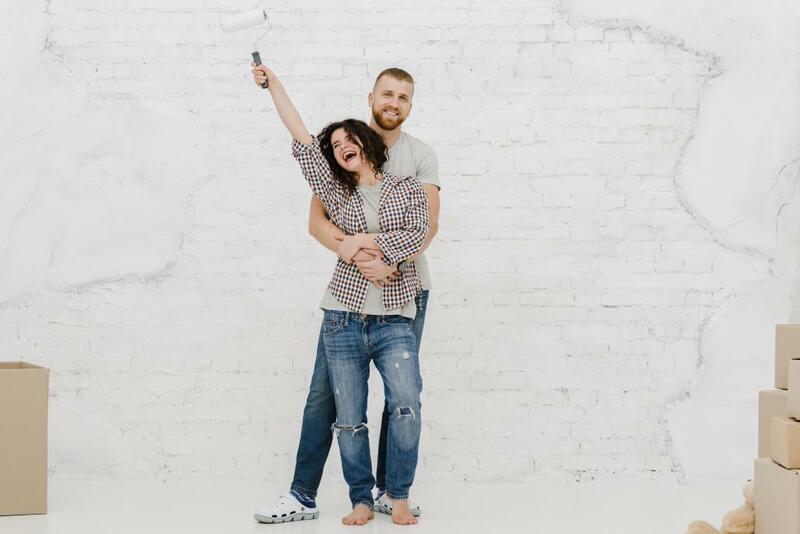 Whether you are a business owner or a homeowner, you don’t want to be left with nothing after you have to complete your move. We don’t want this either and that’s why we make sure that we deliver a budget-friendly solution that you can count on. We have a range of different services, packages and choices that will match different homeowner and business owner budgets. As already mentioned, our prices are completely transparent and easy to understand. So, you won’t have to panic that you’ll be paying a lot more once the initial quote is complete. There is a range of different choices to consider too so you can essentially customise the cost your move. You can choose to pay the full cost of the move up front or by the hour. Whatever you choose, you’ll still be guaranteed a great price and a bill that is easy to understand. Our solution will match your budget regardless of where you are moving to. So, if you are moving from Homebush to the other side of the country we can still provide a great deal. We even include some great extras on the cost of our services. So, you’ll always be getting more than you think when you choose our company. We know that you may not want to move everything to your new office or home immediately. With our service, you won’t have to. Instead, we can provide a complete and comprehensive option that includes warehouse storage. Anything that is stored there will be kept completely secure which means that we can handle sensitive items and documents. So, if you are running a business and you’re not ready to fill all your filing cabinets with your precious documents, then we can take care of this for you. Ask us about all our different storage options and we will be happy to find the right solution to fit your needs. We have warehouses around the country including Homebush. So, when you’re ready to move your items to your new office or home, we can complete this job quickly without delay. You won’t have to pick them up for yourself and instead we’ll deliver them straight to your door. You might be worried about putting sensitive data or important documents in our hands. Rest assured our staff are fully trained, qualified, vetted and insured. This means that you can trust us to handle all your documents and items with care and make sure that there are absolutely no security risks at all. Are you interested in storing some of the items from your old home? This can save you from immediately cluttering up a new property, particularly if you are moving to a smaller location. We can arrange this for you and still offer a fantastic level of security with our storage solutions. If you want to learn more about where items are stored, please don’t hesitate to ask. We’ll be happy to provide all the information that you need. These storage possibilities are budget-friendly and will fit into your cost concerns. We can even arrange the sale of items that you no longer need or want. Tell us what items match this description and we’ll make sure that they are sold in no time so that they can be eliminated from your removal process. This is one of the reasons why we are the furniture removalists homeowners absolutely love. We aim to provide the ultimate and complete removal Homebush service. What does this mean? If you need us to, we will always go the extra mile for you. You might have furniture that needs to be dismantled and taken apart safely without breaking the items. This can be tricky and time-consuming. For homeowners it can be stressful and for business owners it can take the attention of your team away from more important matters. You don’t want to have a whole team of over skilled office workers focused on taking apart desks and chairs. Similarly, you don’t want to stress about taking your furniture apart and getting it ready for storage. With our solution, you won’t have to. We have the equipment and knowledge necessary to dismantle every type of furniture from large coffee tables, to corporate boardroom desks or the standard dining room table. You might have trouble taking things apart but our team won’t. So, don’t worry about spending hours on this job because we can take care of it with ease. We will make sure that everything is ready to be relocated and moved to your new location. Some removal teams expect you to carry or help carry your items to the truck and even unload it. While we understand that some clients feel more comfortable in being part of the removal process, we also understand that others wish to completely hands off. We cater to both and if you want no part of moving the furniture, then we can take care of this for you. Our team is trained and experienced enough to handle all types of furniture and move it to safely to the trucks or unload it. We also have equipment and tools necessary to make sure that the whole process is efficient and easy. You won’t have to worry about it taking hours for your items to be transported when you choose us as your furniture removalist in Homebush. What about when you reach your destination? One of the biggest issues and the most stressful problems is getting the new energy services setup and the old ones disconnected. We can handle both for homeowners and ensure that this is one more issue that you won’t have to worry about. As soon as you arrive, you’ll find that energy options are ready and you will be able to focus on other areas of the move. If you are a business owner, then we can make sure that we work with an electrician to get your systems set up immediately. This means that you don’t have to worry about getting the connections you need set up in your business. Instead, your business will be up and running as soon as your employees move in. Do you have items that require more extensive packaging? Our removalist Homebush service can provide premier packaging for these specific needs. This option is built into our overall price so you won’t have to worry about paying extra to protect your products. If you are a company owner, you are probably already starting to worry about your office removal. One of the greatest issues of removal is that it will actually impact your bottom line. You can lose countless hours and days when completing a removal and this can drain your profits. As well as this, the logistics of completing a full office removal can be incredibly complex. That’s why you need our removalist Homebush service. We guarantee to make sure that your office move is completed as quickly as possible. This means that you won’t have to worry about losing more time than you need to when completing a move. As such, we can help you save money in more ways than one. As well as cutting your costs down as much as possible, we can also make sure that every task you need is completed. This means that as well as preparing your items, we can pack them for you and check that everything is completed the right way. Do you have heavy items, and large pieces of furniture? We have crates, quilts and even have access to forklifts to make sure that everything is taken care of the right way. Since we are a fully insured removalist in Homebush, you can put your mind at ease about any breakages or damage to your office equipment. We will cover the cost of any damage caused during the move to your equipment. We aim to make sure that you can completely trust our solution to deliver what you need. Are you worried that your move is too large for us to handle? We have handled everything from moving an office for a new branch, to moving a full business to Homebush or even just relocating a small section of your team. If you need to move everything we can provide a full fleet of trucks. Alternatively, if you’re only completing a small office relocation, we have budget-friendly alternatives for you to consider. We can even handle warehouse removals? Do you need all your stock relocated? We can arrange this for you and make sure that you don’t have to worry about issues with damage or any delay to your service. What Makes Us The Number One Removalist in Homebush? Are you a homeowner looking to relocate to or from Homebush? If you have been searching for removalists Homebush residents love, then look no further. We have helped every type of private homeowner move. We’ve completed removals involving mansions and one bedroom flats so no matter what your needs we can easily cater to them. We aim to make sure that you can focus on these areas and ultimately let us take care of everything regarding your removal in Homebush. Starting with the first check, we will work out what you need for your move and make sure that we provide it for you. You won’t have to worry about the number of workers you need or the number of trucks. We’ll advise you on all these details, working to match your budget requirements and your transport needs. We know it can be difficult trusting a team with your precious home items and belongings. But we’re pleased to say that we have an excellent reputation for keeping items safe and secure during a move. This means that you don’t have to worry about trouble with lost property or damaged items that you have loved for years. Family heirlooms, delicate products and treasured furniture will all be kept safe when you choose our furniture removalist Homebush solution. As well as providing peace of mind we always aim to provide the ultimate service to you and provide you with a range of choices. The choices we offer are designed to ensure you get everything you need from a financial, emotional and practical point of view. We won’t rest until you are completely satisfied with our service and solution. You might think that once we have moved you to our new location, our service is over. On the contrary, we know that unloading can be just as stressful and difficult as moving everything to the new location. So, that’s why we offer to assemble your furniture too! You won’t have to spend hours trying to fit everything back together and instead can instead focus on other areas of your new home. If there’s anything else you think you’ll need help with regarding your move, please make sure you ask. We can cater to a wide range of specific requirements. Book Your Homebush Removal Today! Are you ready to book the best removalist Homebush can offer? Contact us today and we will be happy to assist you in providing all the information that you need. Some companies will take days to respond to a request. With over 1000 locations across the country, no matter where you are, we can get to you for a full inspection immediately. You might be worried that finding out about the rates we offer will commit you to our service. Unlike other solutions, we offer a no obligation guarantee. This means that you can get the information you need and still decide whether it’s the right choice for you. As well as this, we offer a cancellation duration too. So, if you decide you don’t need our service or cancel your removal during this time, you won’t be charged. This is just one more way we aim to put your mind at ease when using our solution. With a friendly team we will make sure that every need is taken care of when you use our removal Homebush solution.